Melanie Turner has made quite a name for herself remodeling historic houses in the San Francisco Bay Area. But now her reputation may be on the line. 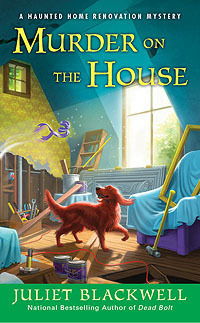 Blackwell draws from her own life as an anthropologist - turned - historical house renovator to create a memorable character with Melanie - a divorced anthropologist who takes over her father's home renovation business, which specializes in historic houses, after her mother's death takes its toll on her Marine dad. Mel would rather run off to Paris but she puts her best steel toed boot covered foot forward to keep her family together. 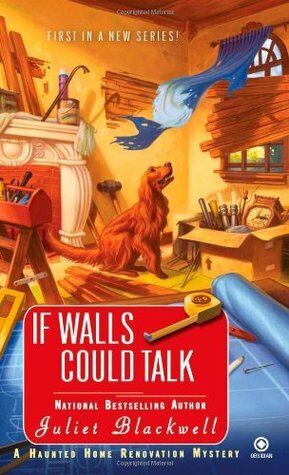 Blackwell adds colorful characters to create more chaos in this cozy mystery as Mel proves herself as a female contractor while communicating with the ghostly inhabitants of the historic homes she lovingly restore. As a fan of reality TV shows that feature house hunting, remodeling, and flipping, IF WALLS COULD TALK drew my attention to Mel's love for vintage charm of historic houses. 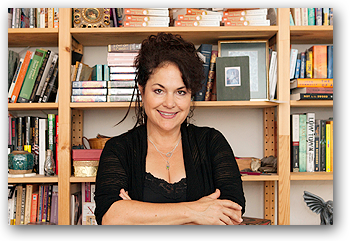 Mel acknowledges that she always felt the "bricks and mortar" speaking to her ... and she reluctantly embraces her ability to hear the spiritual being soon after she begins remodeling (just as I feel when I explore crumbling castles). 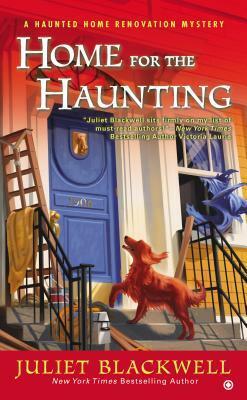 I have also read MURDER ON THE HOUSE (Book 3) and HOME FOR THE HAUNTING (Book 4) thanks to my local library. I found myself drawn into Mel's zany life, her description of the San Francisco Bay Area, and her heartfelt love for restoring a house to its former glory. 1. Have you visited San Francisco? Do you watch any home renovation shows? 2. Comments are open through Sunday, January 15, 10 pm in Baltimore. 3. I'll post the winner on Monday, January 16. No but I would love to visit. I haven't watched any of those shows. I have been to San Francisco. It's a beautiful city. We did all the touristy stuff like driving down Lombard Street and visiting Pier 39 to see the sea lions. We lived in the Sacramento area for 2 years. We visited San Francisco as often as we could but not as often as we would have liked. Would like to go back again and visit in an adult way, not with three young children. I enjoy the home improvement and renovation shows. I grew up in a 1860's farm house that was renovated in the 1950's. They took out all the wonderful period details, painted things white, and put in knotty pine paneling. Really a shame. I heard what it was like and would have loved to renovate it to what it was. We now live in a 1898 victorian farmhouse. It was a mess when we bought it. We had to gut it to the studs and redo everything. The person who owned it prior to us really did a lot of damage with his remodeling attempts. We have tried to restore the old part of the house to a semblance of what it was like originally. We had to add more on to correct the ugly addition he put on and give the house a period line. This sounds like a series I could enjoy. I would love to visit San Francisco one day. I have not seen any renovation shows. Could be fun. I was supposed to move to San Francisco in the late 70's but it fell through. And I haven't been able to visit yet. I watch 1 or 2 home renovation shows when the mood strikes. I've never been to San Fran and I used to watch home renovation shows but I don't anymore. I have been to San Francisco and really enjoyed my visit. My husband watches all the home renovation shows. Never been to San Francisco - but I do love home renovation shows.. Thrilled to learn that Rehab Addict is coming back! I have but I was probably 8 years old at the time. I distinctly remember having some of the best bread I had ever eaten before then, San Francisco Sourdough. I occasionally watch home renovation shows, but my hubby watches quite a few. I have not been to San Francisco before. I hear it's a fun place to explore. I don't watch TV. I'm to busy reading and reviewing books. How interesting it was to read about Juliet Blackwell and her writing on your blog. Yes, I have visited San Fran many, many times and love to go there anytime of the year. It's only a 2.6 hour drive from where we live in Sacramento in any event. This series of books is especially interesting to me because I have a son-in-law who fixed up Victorian homes in the Bay Area for many years...it was how he made his $$. Nowadays he hires the bulk of the labor done by others even though he oversees the projects. My favorite project of his was an old Victorian at the top of a hill in Santa Cruz just above the Boardwalk. My daughter and he lived in the Victorian while he was renovating it for listing on the Historic Registry...and they were married in grand Victorian style in its gorgeous gardens in 2001. Aloha to you in Charm City. I visited San Francisco once many years ago - would love to visit again! When I was putting on an addition with a new kitchen I watched the renovation shows a lot - still enjoy them occasionally. I have been to San Francisco and I enjoy watching home renovated shows.